Conference Theme: Museums and communities working together to engage families in informal science activities. 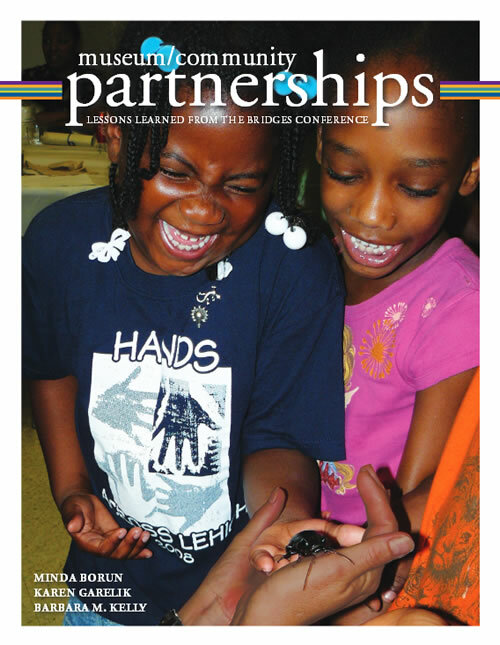 BRIDGES: A Museum/Community Partnership Conference explored how museums and other learning institutions and community organizations (CBOs) can work together towards a shared vision of engaging underserved families in enrichment activities. BRIDGES was specifically designed for programs whose primary audience is family groups. BRIDGES brought together museum and community pairs from 25 partnerships to explore best practices for developing and sustaining these innovative programs. The conference provided opportunities for participants to meet others engaged in similar efforts, to share triumphs and tragedies, and to build an ongoing community of practice. An inspiring keynote speaker, poster sessions, and breakout discussions were the basis for building a museum/community network to help guide, nurture, and expand new and continuing programs that serve families. • Building rewarding relationships among museums, community organizations, and families. Participation in BRIDGES involved museum/community teams which serve families. There were two representatives per team—one from a museum or other informal learning institution and one from a community–based organization. Mary Bures, Discovery Place, Inc.
Lily Yeh is an internationally celebrated artist and award-winning founding Director of Barefoot Artists, Inc. and also founder and former executive director of the Village of Arts and Humanities. She works to bring the transformative of power art to impoverished communities around the world. Lily concluded her remarks with this memorable thought: "When guided by a clear mission and purpose, this entity of multi-faceted, multi-leveled and interconnected programs and activities can become a powerful instrument in building assets and revitalizing the community. When the programs and activities bring people hope, energy, a sense of deep rooting in their own cultural identity, and opportunities for innovation and growth, they are in the process of creating a self-energizing and sustainable community." This material is based upon work supported by the National Science Foundation under Grant No. 0734835. Any opinions, findings, and conclusions or recommendations expressed in this material are those of the author(s) and do not necessarily reflect the views of the National Science Foundation. Conference participants are ready to work. Museum staff work closely with community partners. Programs from across the country gathered to discuss their work. The energy and excitement was evident. We also made time for networking. Meeting like-minded peers was invaluable. Each project presented their work through a poster. The poster session was very lively. We shared our models and findings with one another. We shared best practices during breakout sessions. We found similar challenges across programs.